We are pleased to announce that Dennis Gradillas has accepted the role of vice president of sales at HumanGood. Previously, he served as HumanGood’s vice president of operations, overseeing our life plan communities. 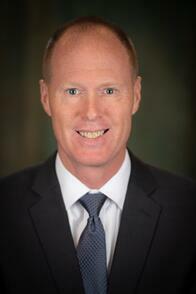 Dennis brings more than 20 years of experience in senior living and hospitality to his role. Before serving as operations vice president, he was the executive director of Las Ventanas, a HumanGood life plan community in Summerlin, Nevada. Before that Dennis was the general manager for The Platinum Hotel and Spa in Las Vegas. Dennis earned his bachelor of science degree in hotel administration from the University of Nevada, Las Vegas, and his master of business administration from the University of Phoenix. Dennis recently received his master of arts in gerontology from the University of Southern California.